Thirty years after the first Macintosh was unveiled, the full video from the meeting at the 1984 Boston Computer Society has been released by Time’s Harry McCracken. The Macintosh was unveiled by Steve Jobs on 24th January, 1984 at Apple’s Annual Shareholder meeting held at the Flint Center in Cupertino, California. Six days later, Jobs unveiled the Mac to the general public at the BSC. The video is quite long, timed at just over 90 minutes. You can watch it below. The way Jobs introduces himself at the beginning of the video, and when he pulls the Mac out of the bag are priceless. 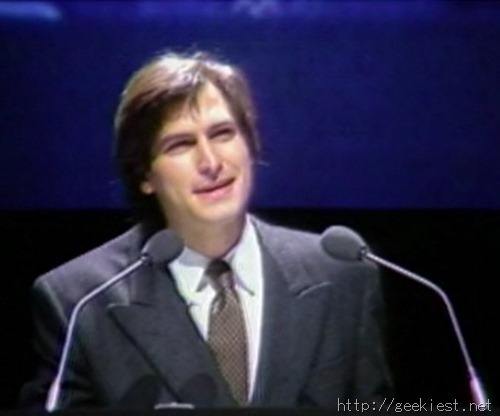 Of course, not everyone would have seen him on stage sporting a suit, rather than the turtleneck we know him with. So I guess that is also quite a rare sight. At the end of the video, the Mac team and Apple’s co-founder Steve Wozniak, answer questions from the audience. The video was preserved by BCS’ videographer Glenn Koenig, who handled one of the camera’s provided by Apple. Time had acquired permission to premiere the video at their website, from the co-founder of BSC, Jonathan Rotenberg and the Computer History Museum. Excerpts from it were shown at the 30th anniversary reunion of former Mac team, which they celebrated at where it was introduced, the Flint Center in Cupertino.